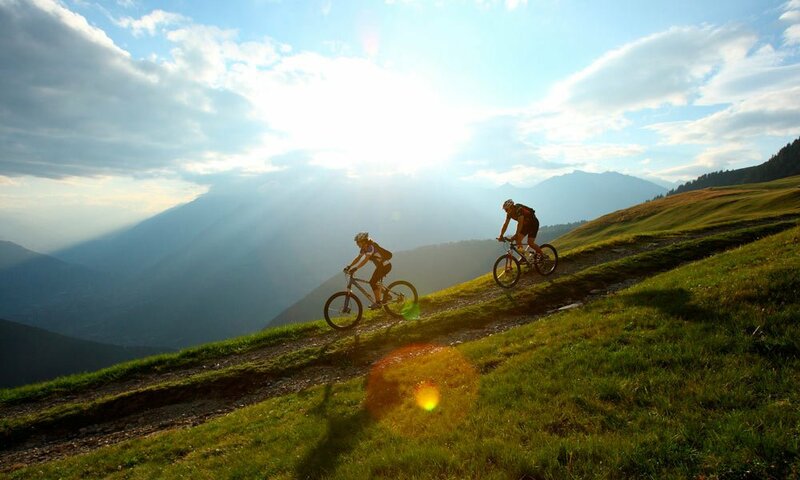 The mountains extend into rolling hills, idyllic pastures and solitary forest trails; there are challenging climbs, panoramic trails and exciting downhill sections – the perfect conditions for your mountain bike holiday in South Tyrol, here with us in Rodengo. The holiday region Gitschberg Val Giovo offers you an abundance of mountain bike routes between the villages of Valles and Rodengo. The difficulty levels are determined by the respective grounds and are as varied as the needs of bikers. As a guest at our hotel, you should take an excursion on the pastures of the Alpe di Rodengo. It will take you from Rodengo across Zumis to the quaint lodge Rastnerhütte and finally to the alpine hut Starkfeldhütte. The circular tour will last around 5 hours, including 12 kilometres up to an altitude of 1,931 meters above sea level. No need to mention how amazing the view will be from up there! Prepare yourself for a visual sensation! Furthermore, the tour Maranza-Gitschberg has it all and leads you up to 2,109 m, offering you a fantastic downhill experience on the way back. In addition to this tour with an elevated climb rate, many more routes with a more levelled profile are suitable for the entire family. There are challenges for eternity – A truly legendary trail: the route from Col Fundres to the Pusteria Valley. It starts on meadows in Vipiteno and continues with a climb to the 2,600-m Col Fundres. Up there, you will see the Pusteria Dolomites from a new perspective. The following descent will reward you for all hardships and takes you from Fundres to Vandoies in the Pusteria Valley, then on to Rio di Pusteria and to Fortezza – a distance of 78 km. 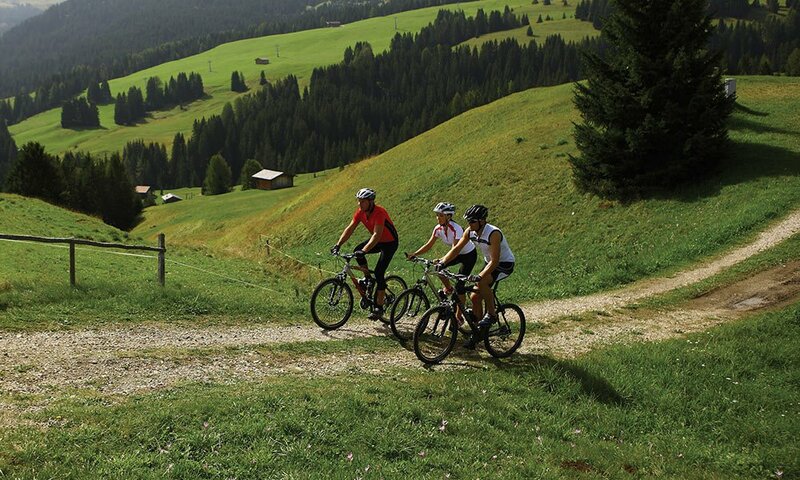 During your mountain bike holiday in South Tyrol, there are many other tours for you, each of which is a special treat for the real biker.